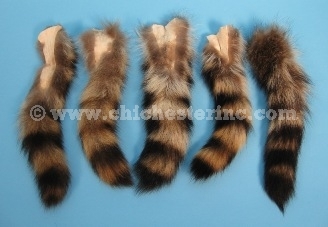 We get limited numbers of natural brown raccoon tails. These are from skins that have NOT been highlighted with a bluish tint for the fashion industry. 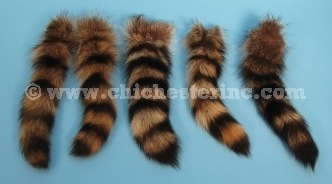 These are natural tails and will therefore have some variation in the color.